Prime Minister Narendra Modi has lunched Pradhan Mantri Fasal Bima Yojana (Corp Insurance Scheme for indian farmers) today at Sehore in Madhya Pradesh. The Fasal Bima Yojana is only for Indian Farmers, which will insure them for corp loss upon weather change or for any natural or unnatural disaster, farmers will get Insurance money for their Corp.
1. 2% premium to be paid by farmers for Kharif crops, 1.5% for Rabi crops. 2. No upper limit on Government subsidy for the scheme. 3. 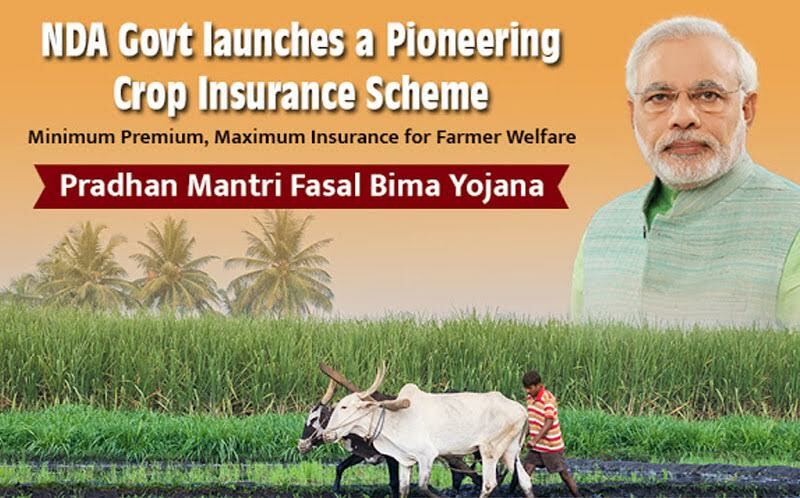 Farmers to get full sum insured, Pradhan Mantri Fasal Bima Yojana removes previous capping on premium. 4. The premium for annual commercial and horticultural crops will be 5 per cent. 6. For the first time in indian history, inundation has been included under localized risk cover. 7. For the first time post harvest losses arising out of cyclones and nonseasonal rain have been covered nationally. 8. Emphasis has been given to mobile and satellite technology to facilitate accurate assessment and quick settlement of claims. 9. Upon corp loss, farmer will get 25% of loss instantly on his Aadhar card linked bank account. The scheme was issued in January, 2016 but due to high premium rates, only 20% farmers across india go for Corp insurance scheme but this time, the premium price is quite low, hope more farmers will join this scheme and take advantage of corp insurance scheme. You can read more about Pradahan Mantri Fasal Bima Yojana here. Or you can listen to Prime minister modi and listen the benefits of Pradhan Mantri Fasal Bima Yojana directly from him. Keep visiting us for more updates on government of india scheme and policy.